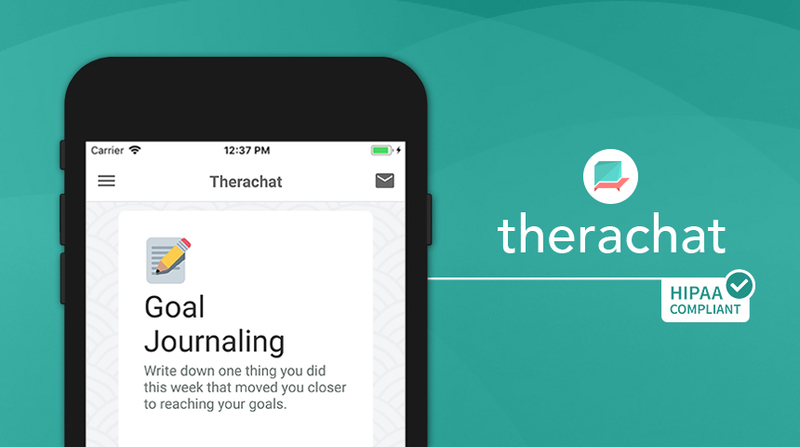 We’re so excited to announce that as of now you’re able to upload and use a whole array of extra things with your clients through Therachat. Send worksheets, other PDF-documents, images, videos, audio… easily to your clients. Would you like to send a helpful Youtube video to your clients? Send worksheets? A scan of a CBT workbook? Now that’s possible! 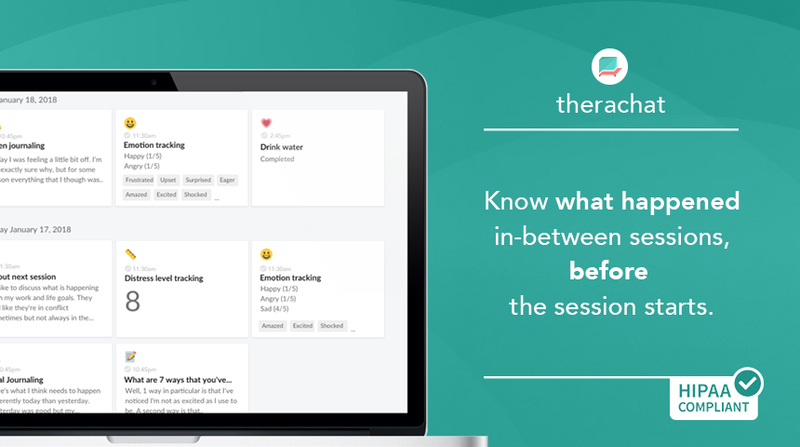 First log-in or sign-up to Therachat and open a client’s page. Would you like to send worksheets? Document? Image? Audio? Link? Or a custom question or prompt? All is possible! 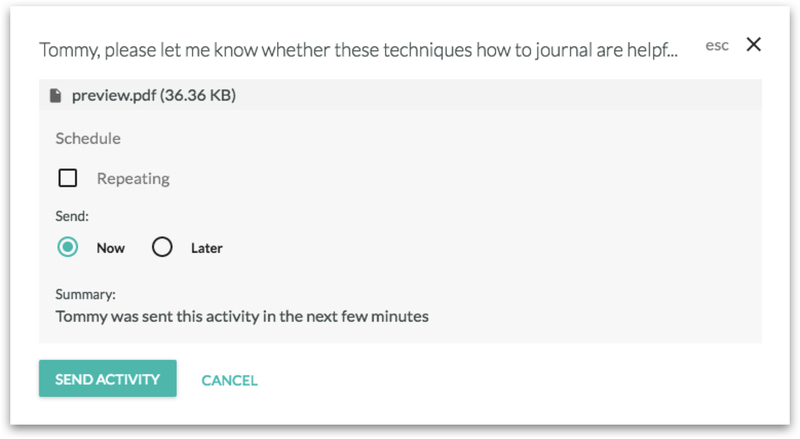 Upload your document, add a link or input your question/prompt. Indicate when you like your client to be reminded of this activity. Just once? Or several times? Your activity will show up on the activity overview. We’ll notify you when your client did the activity. 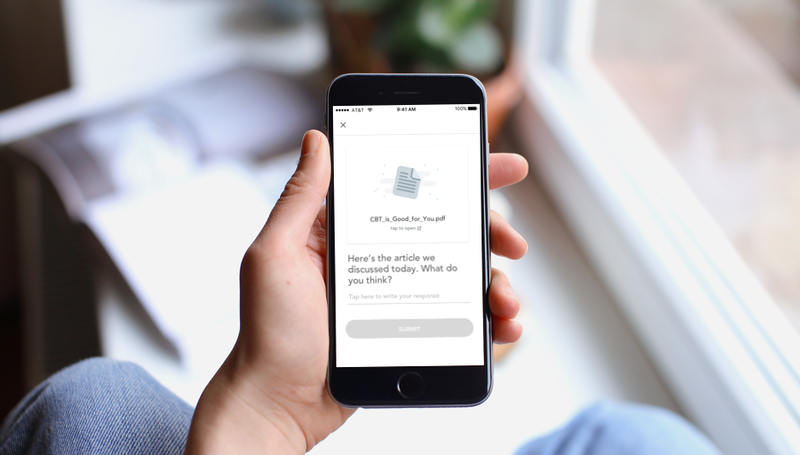 Once you’ve sent your worksheet, documents, links, questions or prompts to your clients, they will receive them in the mobile Therachat app and depending on the type of answer type you selected, they can provide feedback on the activity. Sign up now and try it out for free for 14 days!